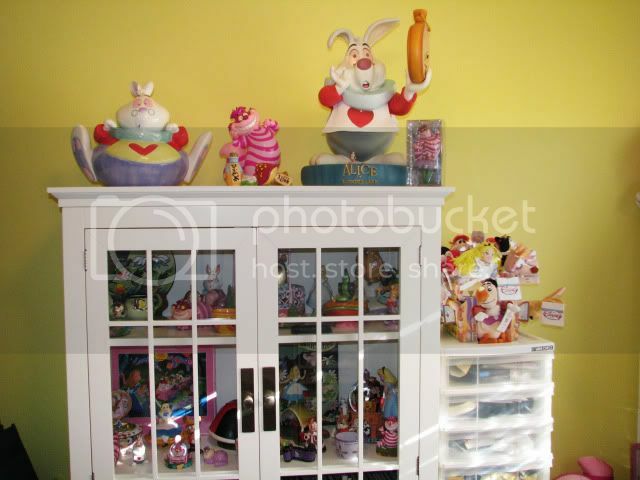 Your Disney Merchandise Collection Showroom (not pins)! 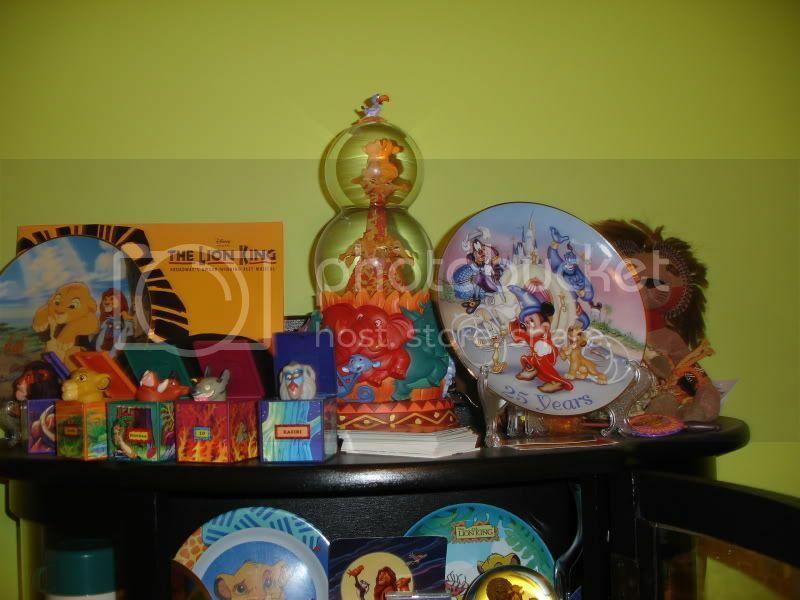 Discussion in 'Other Disney Collectibles' started by Aveen2010, Jan 30, 2011. 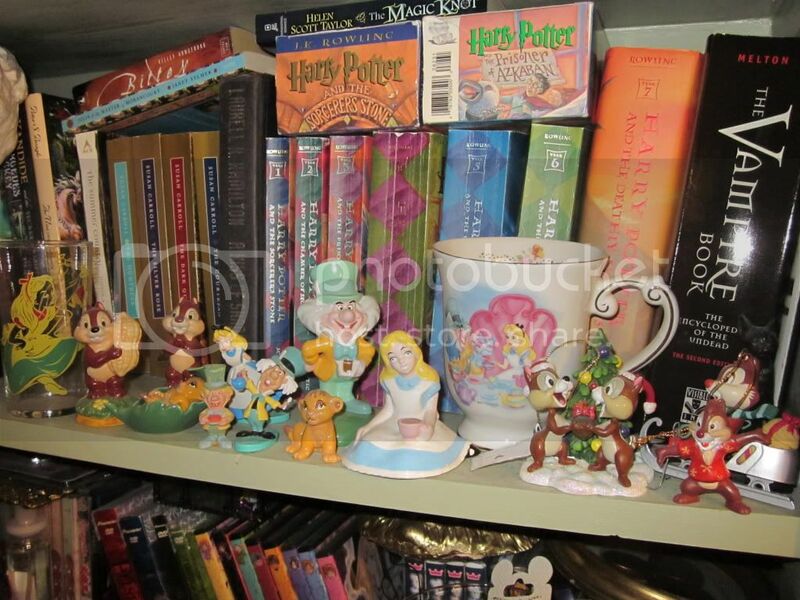 I am not sure if there is a topic like this anywhere on these boards but I thought it might be cool to see some peoples disney collections (other than pins) as we have the pin showroom topic but what about the other things people collect?? WHOA! Now that is awesome. Thanks for sharing! 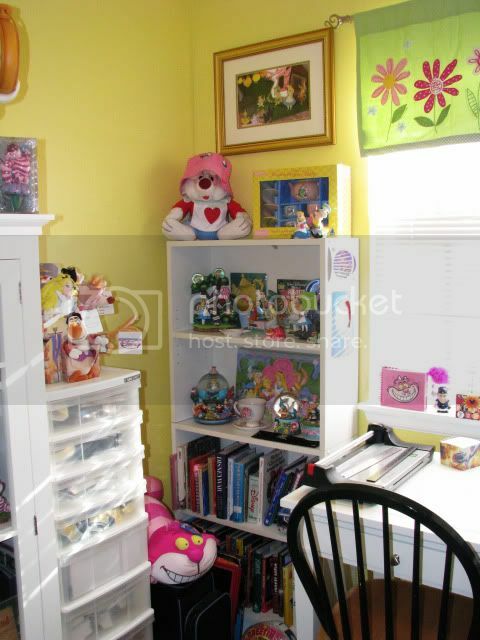 We have multiple Disney themed rooms. Our living room has Dumbo and Theme Parks (HM, Figment, misc Disneyland, etc). Our library is Beauty & the Beast. Our bedroom is a mixture of Wilderness Lodge, Animal Kingdom/Lodge and Lion King. Including the furniture that used to be in the actual Wilderness Lodge rooms. 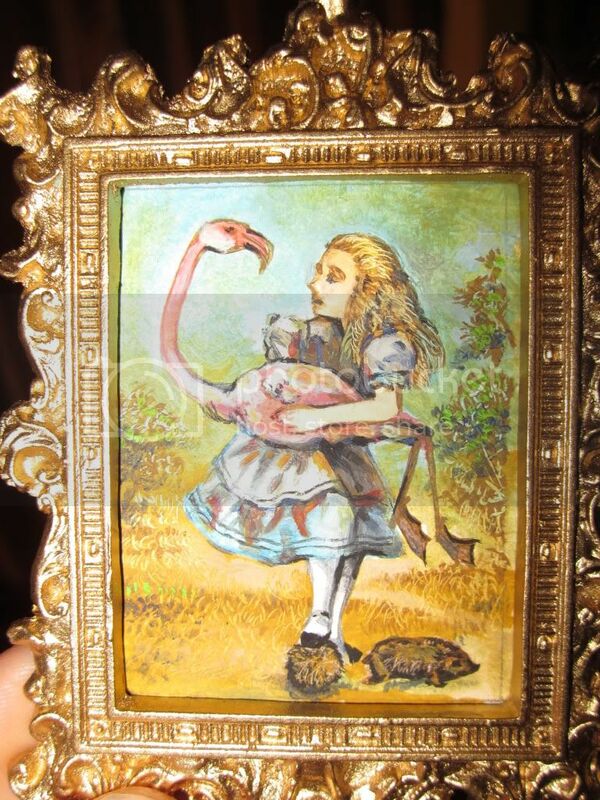 And my scrap room is Alice in Wonderland. The tv cabinet didn't fit in the room, so it's in the living room, but I don't have a picture. omg!!!! Hopemax, can I live with you??? LOL!! I am in love and if you can please take photos of your other rooms!!! 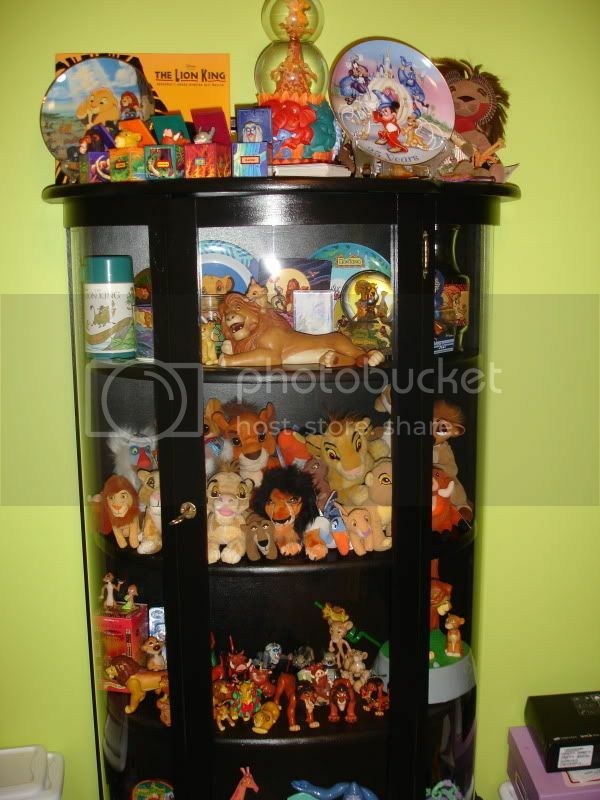 I love both your rooms so far and I sooooo want the rafiki holding simba statue, I have seen it before and want it hehe!! 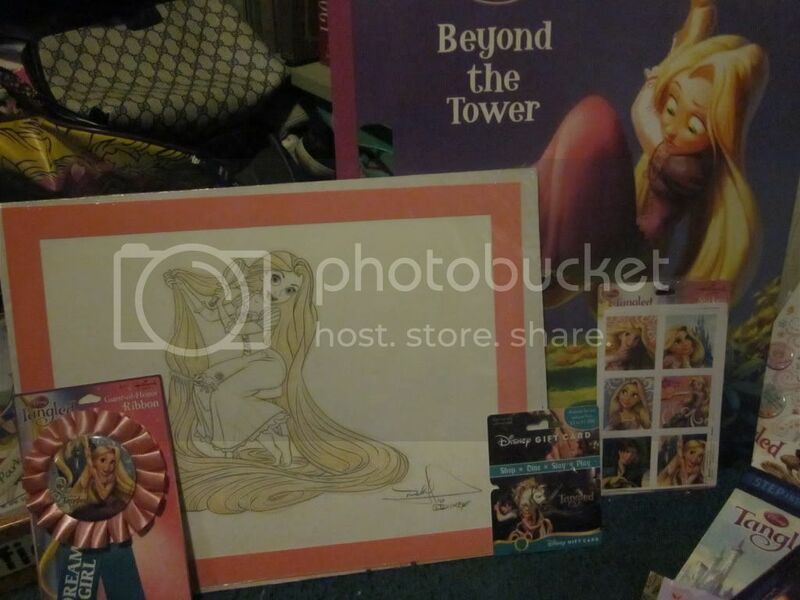 SOmetimes I wish I lived in the USA because you guys have so much better Disney stuff!!! I love the Rafiki Big Fig!!! Most of my stuff is in storage. 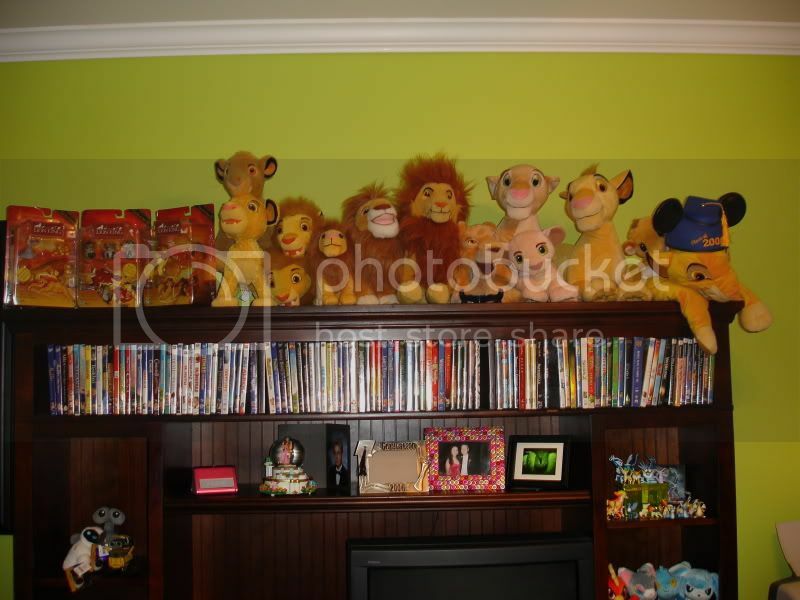 Someday though, I'll have a house with a dedicated Disney movie room. 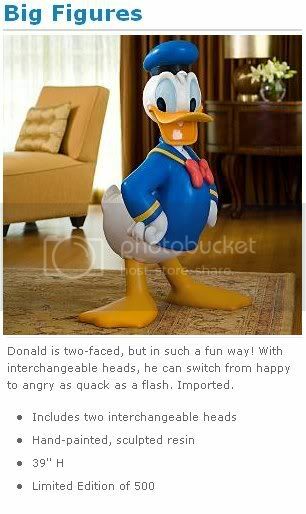 I think my favorite piece is my Donald big fig. He is a little over 3 feet tall! woooowness at donald he is soo cute!! such a cool thread! I'll go next. :wavey: I just got married and recently moved, so these are not all of my goodies. 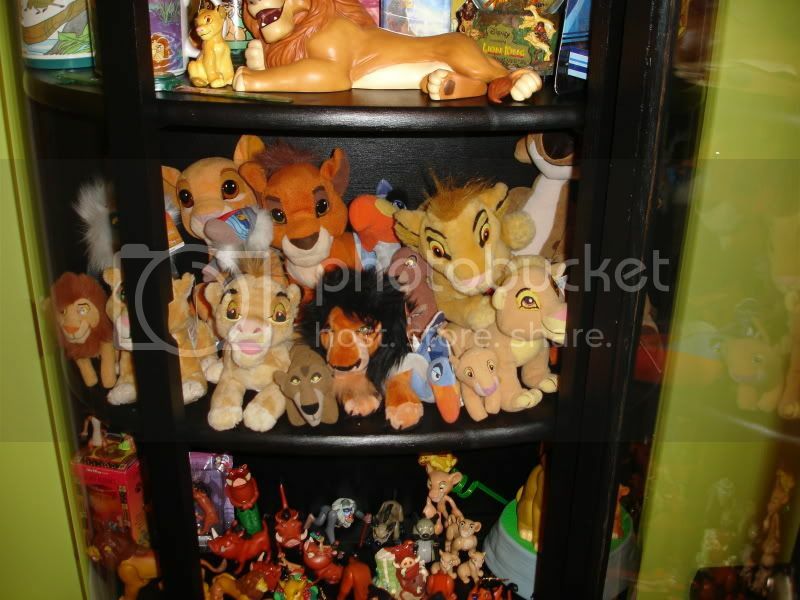 I am a big Lion King collector, and here are some photos of my collection I took last year... right now its all packed away! 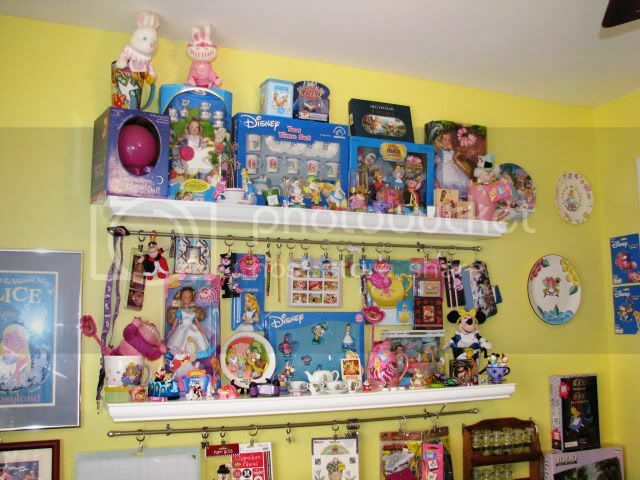 i have tons of other disney stuff but no room to display. even when this photo was taken things are not organized well... i long for more space to store all my lovelies! ohhhh i almost forgot plush! 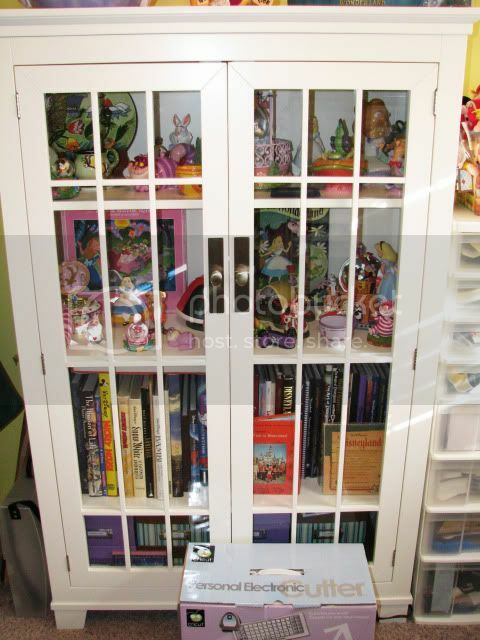 i also have a few snowglobes that i didn't photograph... you can see my hercules one on the bottom shelf in this photo. 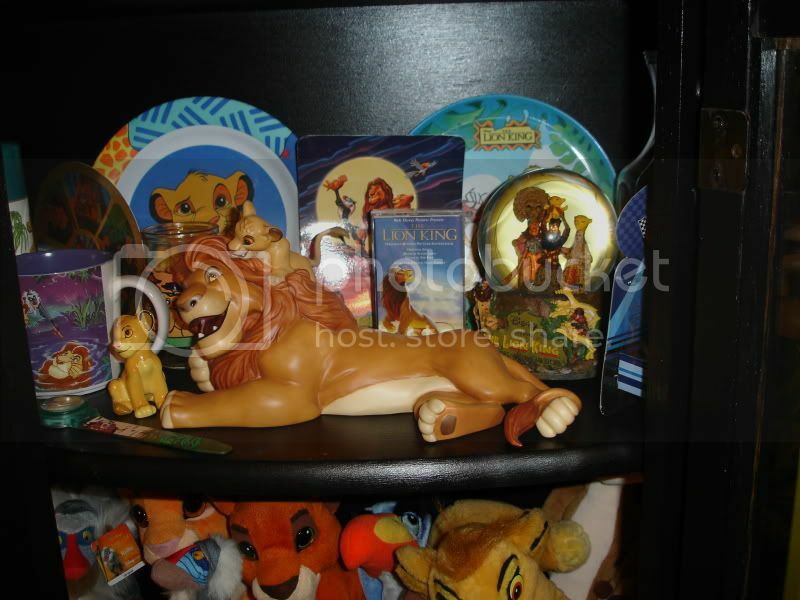 also my prized TLK one in the first couple photos. I get so excited seeing everyones collections!! 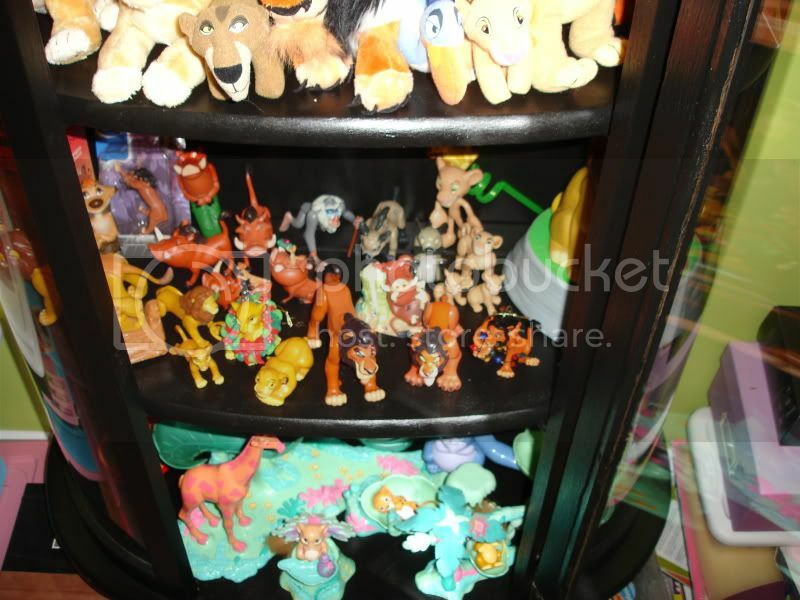 Scarsiandam, I LOVE ur lion king collection esp the wdcc mufasa and simba!! so cool!! All of your disney collections are very cool! I am very impressed by the way that they are all organized by kind and theme! 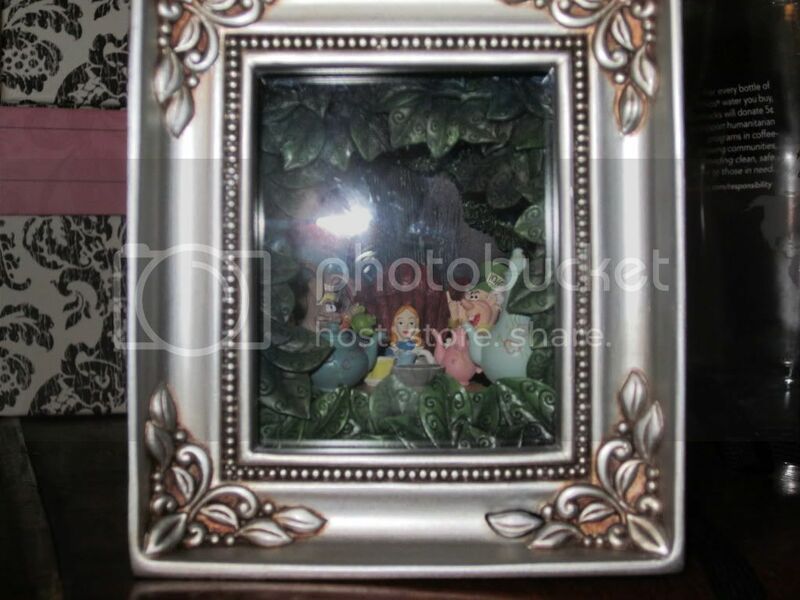 Its like having a small world of disney at home! 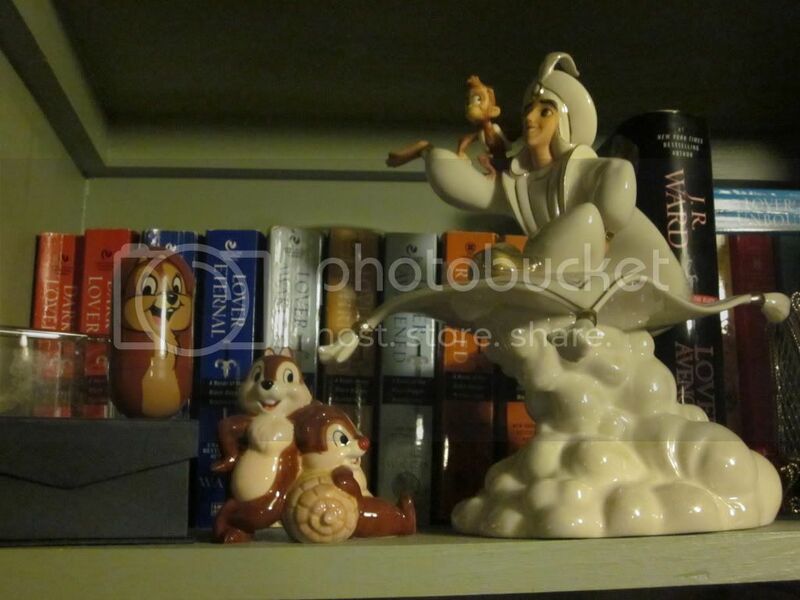 A few pictures of our Disney room. Cool Room Huertajv!! I see you like the Duffy bear - me too I think he is adorable hehe! 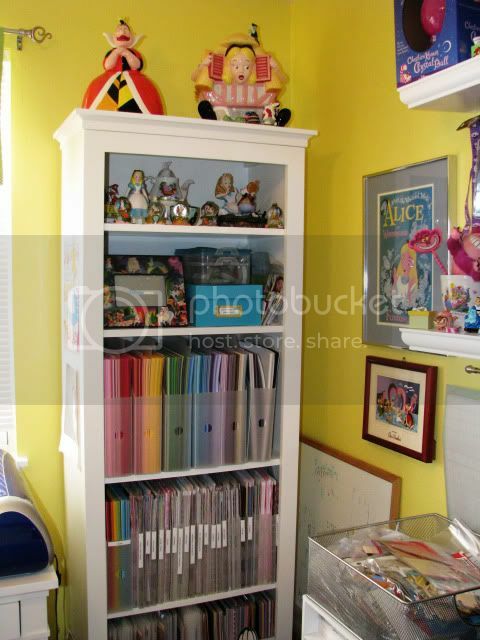 My daughter would freak to have the room you do. That is an awesome collection. I am curious when you started to collect? I know you are 24 but are some of these from when you were much younger? Did your parents start this or is it all you and when was your first purchase? Absolutely unbelievable but I saw it with my own eyes so I believe it. Aveen, I see your collection is moving on nicely! Will post some pics later! aww thanks so much for your really great comments on my room! I have owned Disney merchandise all of my life really, my parents weren't into disney so it was something I just loved myself. 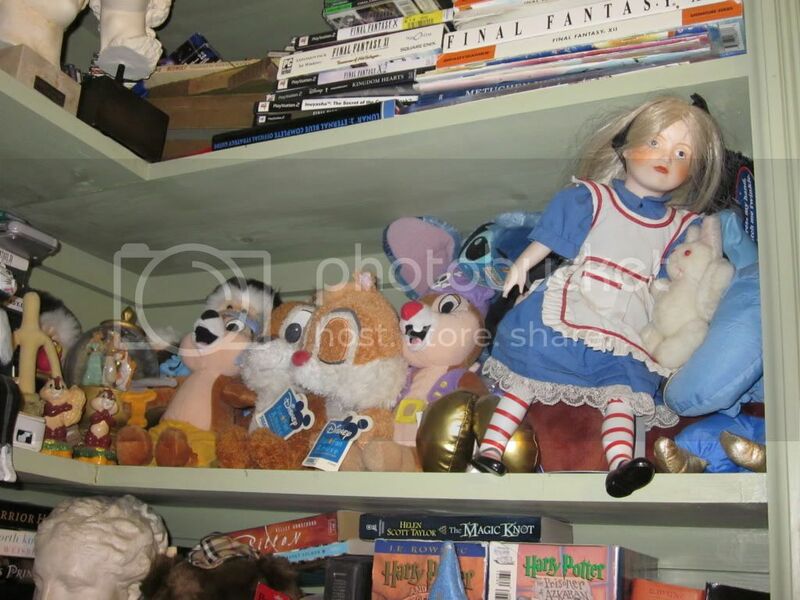 Most of the stuff in my room isn't from Childhood really as I wouldnt have had money to buy so much, but I did have Disney toys and videos and there is more in the attic (think in america you call it the loft) that I would have owned from much further back! 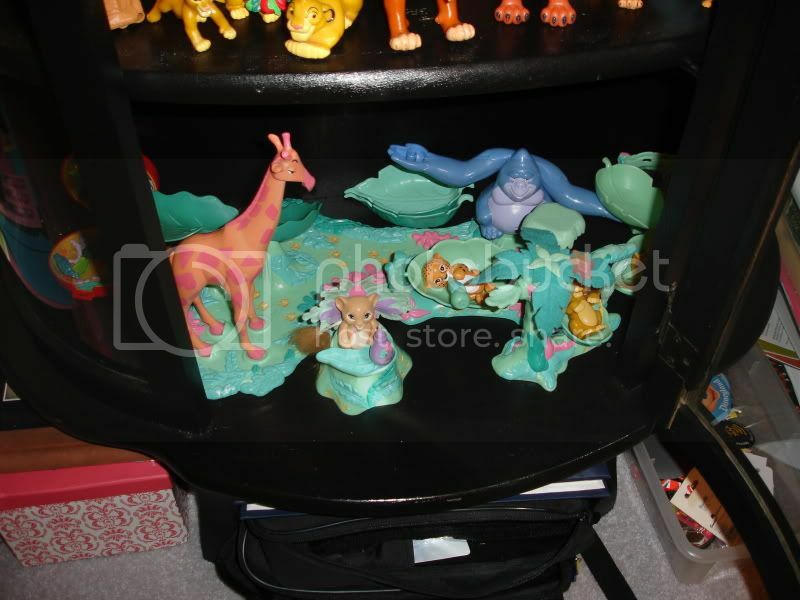 I have some McDonalds Lion king figures on my shelves that I did get from McDonalds when the film was released so I would have been about 8 at that time so I have had them a long time. Appart from the Disney store, Disneyland Paris and regular shops, I have picked up many great items from ebay and even car boot sales too! I wish I had more room to expand hehe!! dlrpmad - can't wait to see your photos! 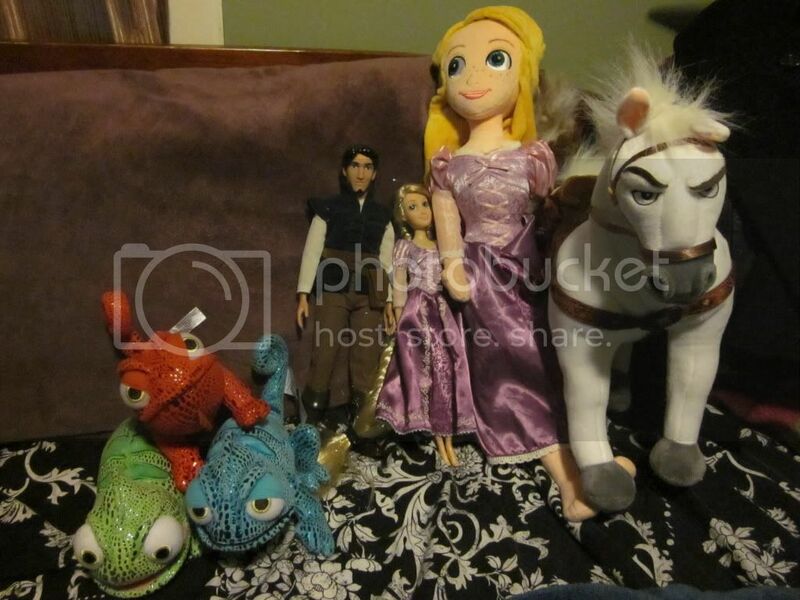 My collection has grown since my last DLRP trip, lovely figurines and plushes. I now have about 30 plushes in my collection and thats since last summer! Not as many as you aveen, of course, but Im now the owner of a 63cm tall Stitch, Hes HUGE!!! showmethepins Gotta Find Mickey Pins! 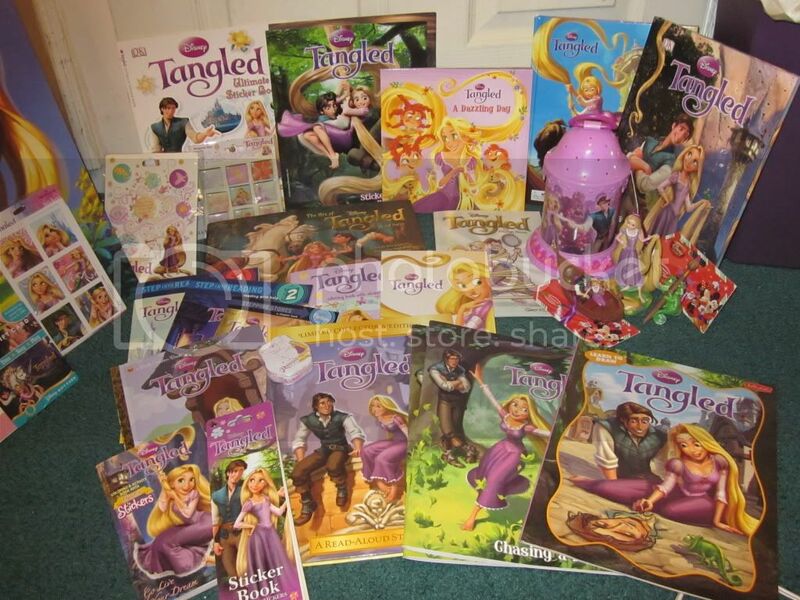 Lunarbasket, thank you so much for sharing your photos, I love your Tangled collection and am SO envious of it as I am only starting mine The lenox aladdin is really pretty and I love the tiny simba too hehe! 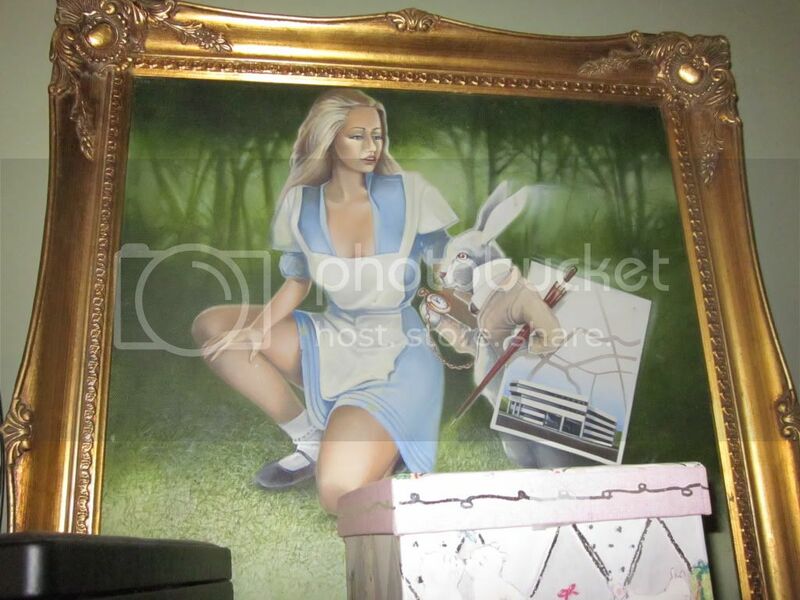 Ur Dad is a talented painter! WOW!!! All the pics are amazing! And I just started collecting so mine is small compared to everyone elses! Lol, thanks for sharing with us! These are simply amazing!! Thanks for sharing! !